Hey, as you said, you’ve already seen that this way of gathering public feedback doesn’t work. Normal users will NOT follow every design detail in #gnome-design or follow the git repository. In wikis, I can see what is provided but it is not easy to notice what is missing. I might see the power settings mock-ups but I might not notice that it is no longer possible to change the behavior of Gnome when the lid is closed. So, none of the above are good ways to gather public feedback (as is clear in this case). You see, a blog post about a design decision has attracted a lot of attention. There are lots of users who cannot and/or do not want to follow all the design process, but they do care about design decisions. Therefore, when you come up with a design decision after such a hard work; it might be better to publish the design decision and request feedback in a suitable way so that you won’t suddenly face a considerable number of users unhappy with a design decision that has been made for months. This might not be practical for all design decisions, but IMHO it should be done for the important/debatable ones specially when you decide to eliminate something which is available in Gnome 2. About this special design decision and some other similar design decisions like removing the “Startup Applications” preference, it is fine to remove the settings as while as you provide a way for applications to customize the behavior. Removing “Startup Applications” is fine if I can write a replacement myself. For example, if an application fails to remove itself from the list of startup applications for whatever reasons e.g. being uninstalled(! ), there should be some way for me to remove it from the list of startup applications. If you let an application to prevent Gnome from being suspended when a laptop’s lid is closed, it’s fine to remove the corresponding preferences since there can be a prevent-gnome-from-being-suspended-when-laptop-lid-is-closed application which /I can add/it can add itself/ to the gnome’s Startup Applications so that my laptop is never suspended when I close my laptop lid (It is what our robotic team WILL need on the laptop which we use on our robot, since the laptop’s lid is closed while robot control software is running on it. However, we sometimes connect to the laptop using VNC, so in this case VNC server can prevent Gnome from being suspended too; and I think this is what a VNC server must do always. But I might happen to use a VNC server which is unaware of Gnome3, so I might use prevent-gnome-from-being-suspended-when-laptop-lid-is-closed application as a workaround; and I would hate Gnome if a workaround for broken applications is not possible). Something somewhat related to some of the recent debates about Fedora target users: IMHO, any design decision which doesn’t let a user to do what he wants to do is broken. And if such a decision is made to make software more user friendly, this is exactly when you are losing power users. I think Fedora can become more user friendly while still being a great distribution for power users if it does not follow such design decisions. Be more user friendly, but don’t do it by limiting your power users or making their life harder. Personally, I LOVE flexible software; specially if they make common tasks simple, others simpler and harder ones possible. That’s what I call a good user friendly software (for both naive and power users). Well, that might be impossible to be done in a single application(executable), but it can be done in a software consisting of a coherent set of tools. About 20 days ago, we released the second version of our Fedora remix: Parsidora 14. This release was much more pleasant than the previous one: it happened at the right time (a little after Fedora 14 including most bug fixes, but before Fedora 15 Alpha release to look a bit old) with better testing, integration and polish. We have a more complete artwork and a new plymouth theme thanks to our graphics guy! Taking advantage of the latest Fedora updates, this release provides a stable Fedora remix which (hopefully! 😉 ) works out of the box and provides lots of additional software which can be installed during or after installation, even if you don’t have any internet connection. 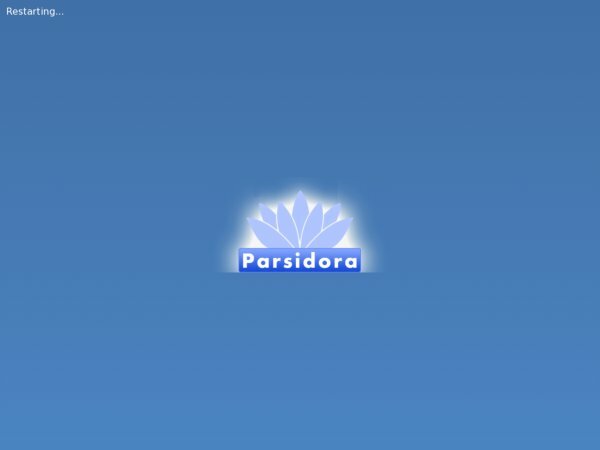 Some time has been passed since the release and so far, so good: we have not discovered any Parsidora specific bug and it seems that users are happy with it :). It has even attracted new volunteers to our distribution! As mentioned before, Parsidora tries to provide a more pleasant Fedora experience, specially those who do not have broadband internet access. Unlike other Fedora remixes like Fusion Linux and Omega (which are live distributions), Parsidora provides a DVD installation media targeting offline users. It also provides better support for Persian users. These two properties makes Parsidora a unique distribution among others. However, the general look and feel of Fedora is preserved since, as said earlier, we want to provide a more pleasant “Fedora” experience. Parsidora includes packages from Fedora, RPM Fusion and Livna repositories, plus some other additional packages. You can find the main features and packages of this release in this page. Surprisingly, we received requests for a Live version of Parsidora, while we don’t have much to offer in that area compared to other live remixes. Our main target is still the installation DVD, but we might release a live version too. We have not decided yet, but it’ll probably be an Omega equivalent with some small additions like Parsidora branding and better support for Persian users. However, we might simply redirect such users to Omega and maybe trying to add some of our customizations to it. So, there might be a Parsidora live for the sake of completeness, but our (or at least my) main target is still the DVD media. A small note about including non-free software in Parsidora: there are users who need and use them anyway, so there is no point in not providing them while there is no free alternatives. Specially for offline users (our main target), excluding them is nothing but a huge pain. It WON’T encourage them to avoid non-free software, but to avoid our software completely. However, we will try to encourage the use of free alternatives when possible.